The antiquity in this Yacht Charter destination is omnipresent, likewise the tradition of seafarers through the millenniums, as well as the wisdom of ancient philosophers and in any case all sorts of taverns made for sociable evenings: All Yacht Charter areas of Greece have these features in common. 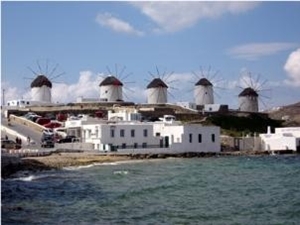 Beautiful bays and many interesting cultural Highlights which lure Yacht Charter crews to extensive country excursions. Generally there are more fishing harbors than modern marinas in the various sailing waters – the advantage being that Yacht Charter crews often moor at the heart of the town. Mooring tends to be very inexpensive therefore Yacht Charter crews won‘t find amenities like showers or electricity. There is no shortage of bathing bays anywhere and almost everywhere Yacht Charter crews can find taverns and bars to spend a folksy evening onshore. 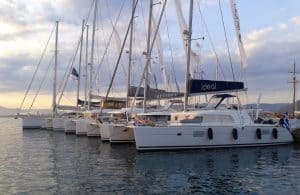 In the Yacht Charter region in the Saronic / Argolic gulf, near the capital of Athens with an enormous offer of charter yachts in Athens, Kalamaki and other Yacht Charter bases, as well as in the region all around the Peloponnese the distances are short with low winds dominating. 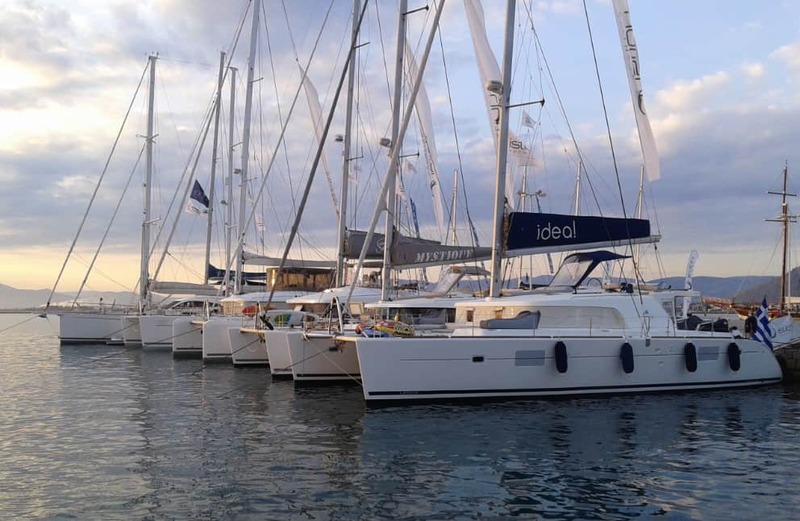 The Yacht Charter area in the Ionian Sea with low winds and numerous islands is ideal for beginners and Yacht Charter crews without to much experience, pleasure yachtsman and families with children. Most Yacht Charter bases are in Corfu and Lefkas. Also the Sporades in the northwest of the Aegean Sea where there are more sandy beaches and a lot of green vegetations are easy to sail and well loved by many Yacht Charter skippers. The Cyclades on the contrary are rather demanding for Yacht Charter crews because of the strong wind called Meltemi predominant in summer – there are Yacht Charter bases for example in Syros or Santorin. However this area is also well attainable during Yacht Charter cruises from Athens. Experienced Yacht Charter crews will like the Dodecanese archipelago as well, twelve islands in the east of the Aegean Sea close to Turkey, with Yacht Charter bases for example in Kos, Samos or Rhodes. Generally there are more fishing harbors than modern marinas in the various Yacht Charter regions – the advantage being that you often moor at the heart of the town. Mooring tends to be very inexpensive there, sometimes Yacht Charter crews won‘t find amenities like showers or electricity. There is no shortage of bathing bays anywhere during any Yacht Charter cruise, and almost everywhere Yacht Charter crews can find taverns and bars to spend a folksy evening onshore. There is a wide range of Yacht Charter offers at all Yacht Charter bases in Greece: sailing yachts, catamarans, motor yachts, powerboats and luxury yachts with crew. Some fleets are not listed in our Yachtfinder – please ask for offers. And of course we will be glad to send you offers for the most beautiful luxury charter yachts with crew in this area as well. Greece is a very popular destination for charter holidays on board of luxury yachts, super yachts, gulets or crewed catamarans. 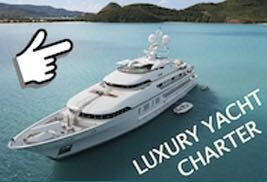 Here you can find more information about luxury yacht charters. We would will be glad to organize your luxury yacht charter in Greece – please ask for offers! Olympia maritime communication station on channel 16 at 6 am, 10 am, 4 pm and 10 pm in English and Greek. For charters in Greece it is necessary for the skipper to have at least the Yachtmaster and for an additional member of the crew to have a certificate, which proves that they have sailing experience.